The University of Alaska president announced Monday night that he’s recommending that the University of Alaska Anchorage close its School of Education, after losing national accreditation in January. 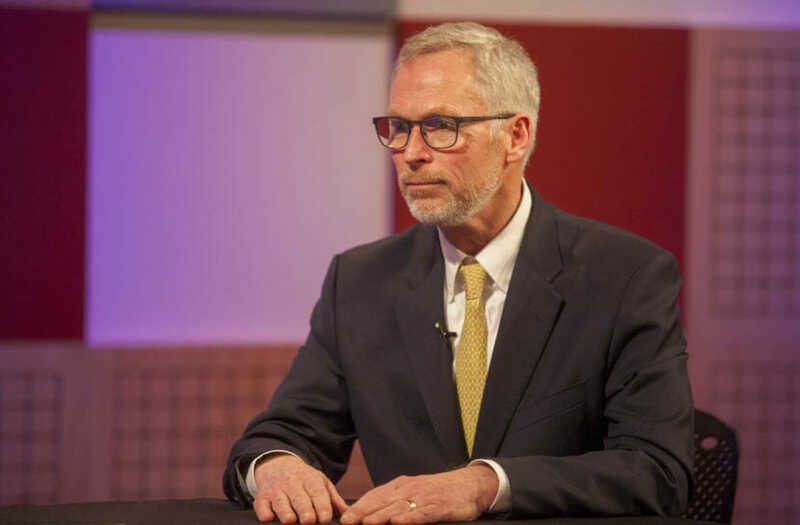 UA President Jim Johnsen plans to make his recommendation to the UA Board of Regents on April 8 to close UAA’s School of Education by July of 2020. His plan would discontinue the seven initial licensure programs for UAA’s education department, effective September 1st of this year. On January 11, UAA was informed that its education department lost the national accreditation for its initial licensure programs from the Council for the Accreditation of Educator Preparation, or CAEP. In its review, CAEP found that UAA failed four of the five categories it was being assessed in. The categories failed were content and pedagogical knowledge, candidate quality and recruitment, program impact and provider quality assurance and continuous improvement. UAA met the criteria for clinical partnerships and practice. Representatives from UAA and the University system as a whole say that the main reason for accreditation loss was a lack of data on the progress of students in the Education Department. It’s called a quality assurance system. Under Johnsen’s recommendation, after September 1, Anchorage students would have to take education courses with instructors from the University of Alaska Fairbanks or University of Alaska Southeast, both have accredited education departments. Layer says this would be offered in a mix of online courses and teachers from UAS and UAF traveling to teach in Anchorage. He says UAA’s current nursing program is an example of how the three different colleges can coordinate in such a way. Layer says that there is only one degree program at UAA that won’t be offered in the same way: the bachelor’s in early childhood education. “UAF will offer a program that will lead to the same certification for teachers when they graduate, but it will have a different title and a slightly different emphasis,” Layer said. Some UAA education courses are still accredited. After students in those programs finish, the entire UAA School of Education would close July 1, 2020. The decision of whether or not to allow UAA to pursue reaccreditation of its education department is ultimately up to the UA Board of Regents. In a statement, UAA Chancellor Cathy Sandeen said she has “complete confidence the school’s faculty would successfully achieve accreditation based on the significant progress they have made toward compliance with CAEP standards.” But UA President Johnsen is against the idea of re-applying. Layer says that since losing accreditation, UAA’s education department, under Interim Director Claudia Dybdahl, has created a quality assurance program they lacked in the first review. “Should the Board decide to permit UAA to move forward with accreditation, which is not the president’s recommendation, they have begun to collect the data necessary to make a strong case, should they try to seek reaccreditation,” Layer said. The UA Board of Regents meets on Monday April 8th, and is set to vote on Johnsen’s recommendation. In her statement, Sandeen said she’ll abide by the decision to close UAA’s School of Education, should regents make that call.